Help balance, moisturize and nourish your skin! Your skin secretes oil to protect it from environmental pollutants and to keep harmful chemicals and toxins from entering through its pores. you disrupt this “biofilm” and remove the important lipids underneath your skin layer. 2. Producing even more oil, resulting in clogged pores and potential blemishes. 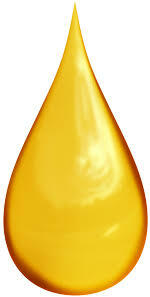 Using healthy oils will dissolve, lift, & replace soiled oils with hydrating and nourishing oils! that are 100% natural and organic! for your skin’s unique needs! 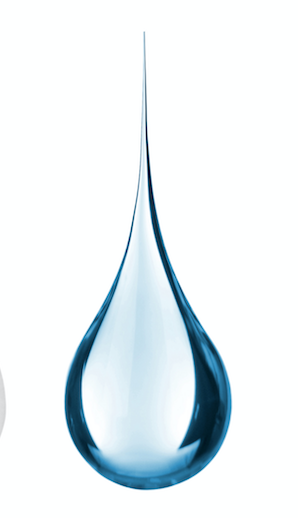 The Hydrosol Splashes are made from pure, artisan-distilled, fresh, home-grown and/or wild-crafted botanicals. They are harvested just before distillation, completely full of the precious life force of each plant. They not only cleanse, balance the pH of your skin, but offer their unique healing properties to each facial cleanse. restorative and healing carrier and essential oils! The Cleansing Oils are organic, pure, not diluted or contaminated, and come from highly reputable sources. enhanced by organic essential oils that are healing as well. Whatever program or regimen you choose to care for your skin, begin with the proper cleansing with our Splash and Oil Cleansing Program. 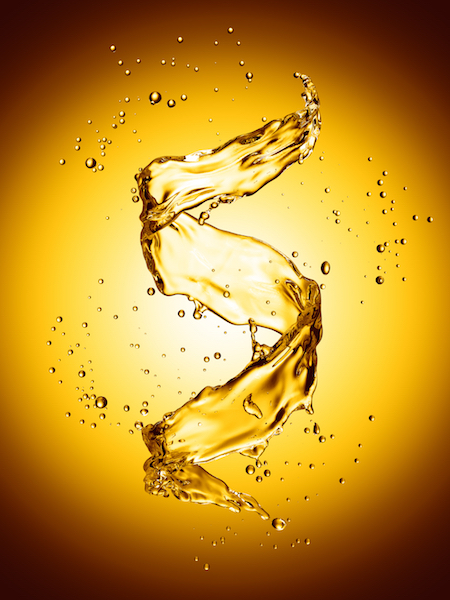 Make sure that you always follow the Splash and Oil Facial Wash with a moisturizer, even if you have oily skin. Try to properly care for your skin with one of our additional facial care programs! 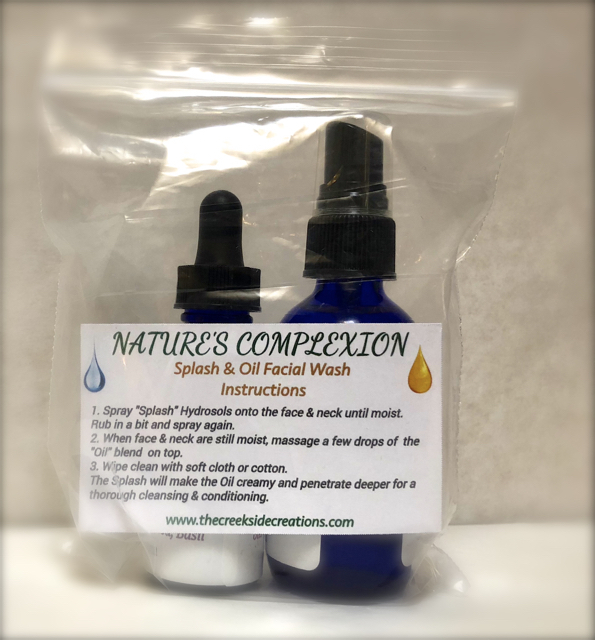 Four NATURE'S COMPLEXION Splash and Oil Kits to choose from!